When you decide you want to add a new outdoor living space to your home, you have a number of options for help. You may find contractors who build decks or porches as part of a range of services. Or, you may meet with companies that focus on decks or porches but only offer a single or limited number of designs to fit your space. At Archadeck of Raleigh-Durham, we provide professional design and build services focused exclusively on outdoor structures. We customize each design to our clients’ unique needs and prioritize high-quality customer service along with expert construction. With more than 28 years of experience in the greater Triangle area, Archadeck has expertise in designing and building all types of custom outdoor living structures using many different materials. We also offer advanced design services to help clients visualize their backyard dreams. This includes 2D and 3D drawings that can make it easier for you to envision your new outdoor living space before construction begins. During the at-home design consultation, an Archadeck design consultant will listen closely to your needs, assess and measure your project site, discuss materials and design options with you, and answer any questions you may have. Using your input and our expertise, Archadeck will carefully plan every detail for your new outdoor space. 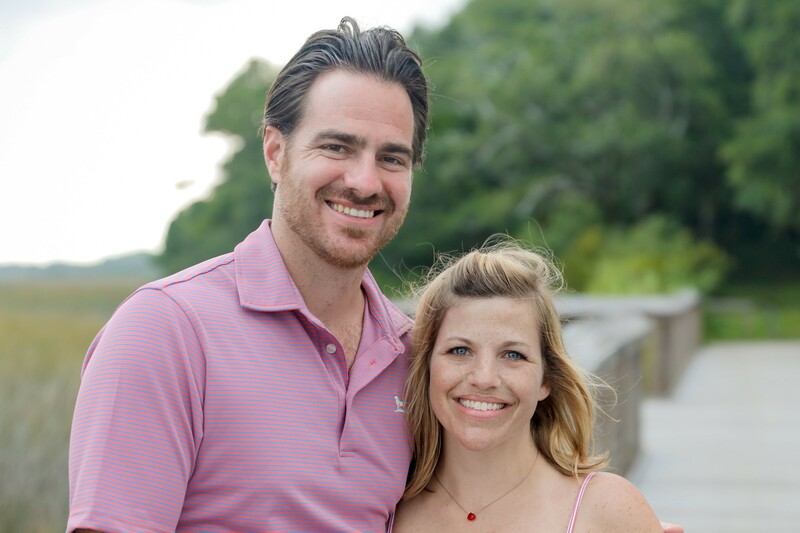 We will find ways to meet your design and functional goals while complementing your home’s distinct architecture and your property’s particular features. 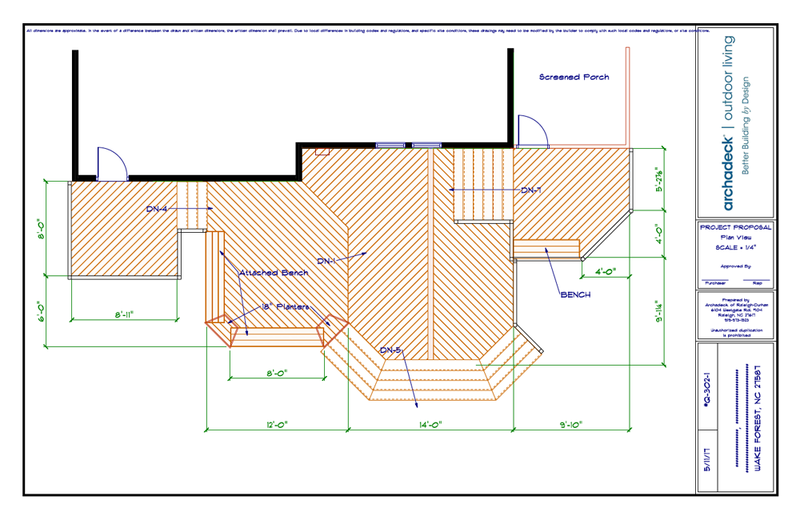 As part of our process, we create a 2D project proposal that is similar to a building floor plan. The project proposal shows the placement of your new outdoor space relative to your home’s exterior. 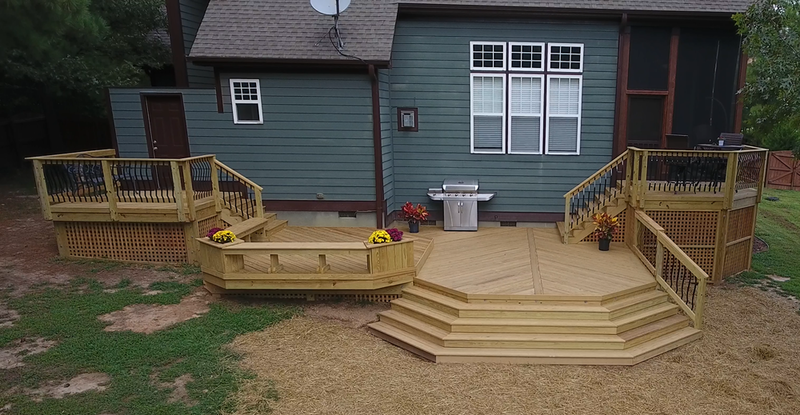 It includes dimensions, decking patterns, and special features to provide you with an easy-to-understand, birds-eye view of the potential project. We use this 2D project proposal to present our custom design recommendations and quotes. From the drawing, the design can be further customized to reach the final specifications that are satisfactory to your wants and needs. After the contract is signed, the 2D drawing is yours to keep for reference. If you are struggling to envision how your project will look from the 2D drawing alone, there are other ways we can help. As part of our advanced design services, we can provide you with a 3D drawing that shows what your custom outdoor living project will look like in a more specific rendering of your particular home and property. This visualization can also be useful if you are torn between multiple ideas, or have concerns about specific details. 3D renderings can show functional and spatial details such as stair placement, decking patterns, and furniture placement. Being able to review these design details in greater depth before construction begins allows you to make adjustments before construction begins rather than once it’s in progress, which can increase costs and delay completion. We believe there is no one-size-fits-all outdoor living space. 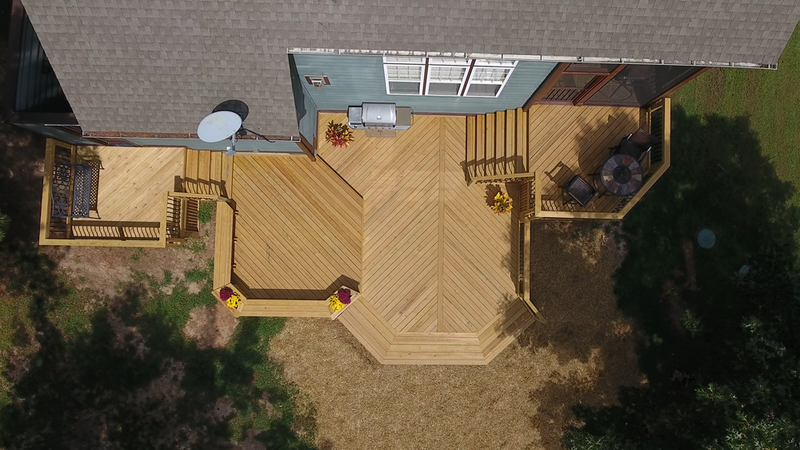 At Archadeck of Raleigh-Durham and the Greater Triangle, we are proud to offer fully customized design and build services to create your new deck, porch, patio, or combination project. 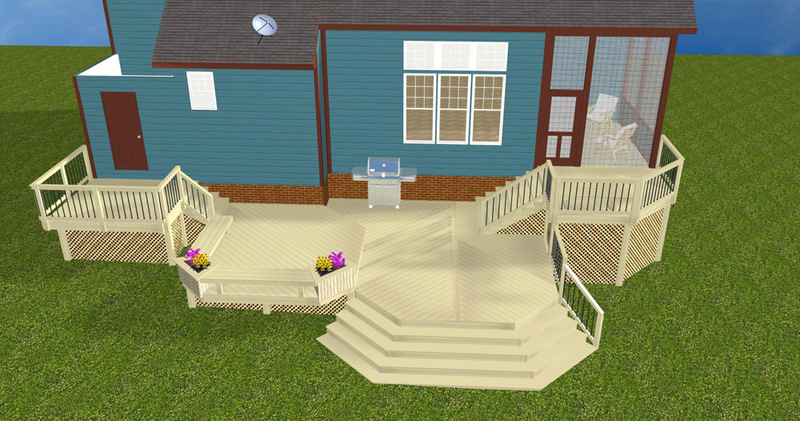 Our advanced design serves, such as the 3D drawings, are unique among Raleigh deck builders. Call today for a design consultation: 919-973-1523. We look forward to working with you!